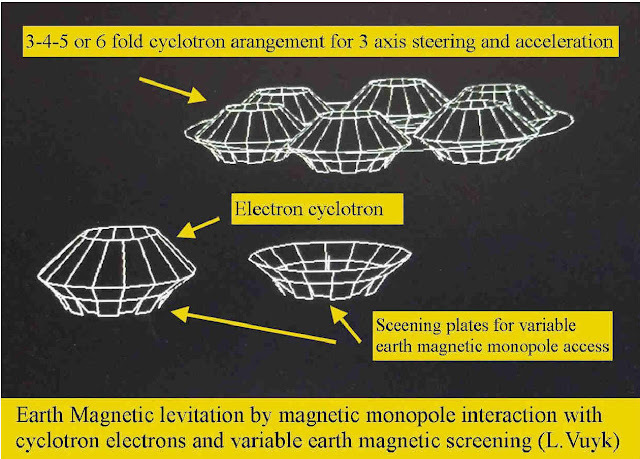 Earth Magnetic Monopole Array Field Interaction with Aurora electrons, Pigeons Turtles and levitation effects. 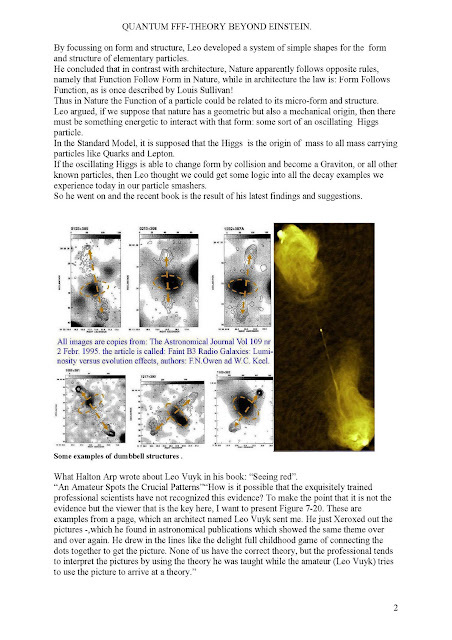 Quantum FFF theory states, that the vacuum is seeded with fast oscillating massless Higgs particles, oscillating along a complex chiral tetrahedral vacuum lattice, which has the ability to transfer Photon and Graviton information in bunches of oscillations, through the vacuum lattice with the local speed of light. 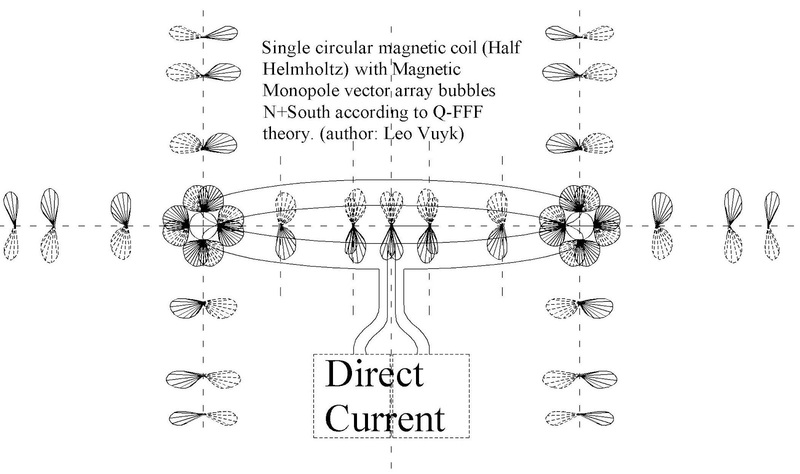 As a consequence there are no attraction forces on propeller shaped Fermions. 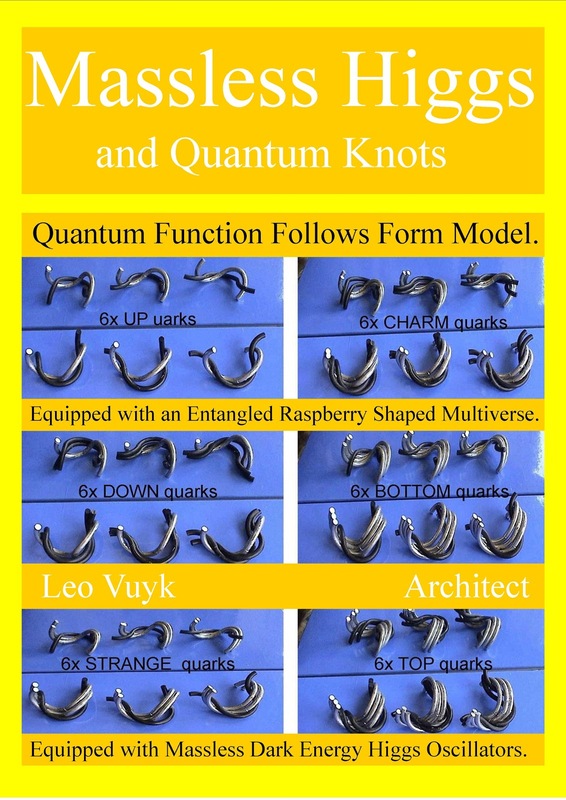 Only the sum of the different kinds of vacuum impulses from all directions on Fermions are responsible for all energetic phenomena in the universe. Quantum Gravity can be interpreted as the statistical result of opposing impulse differences of two radiation fields, the massless Higgs field and the massless graviton field. 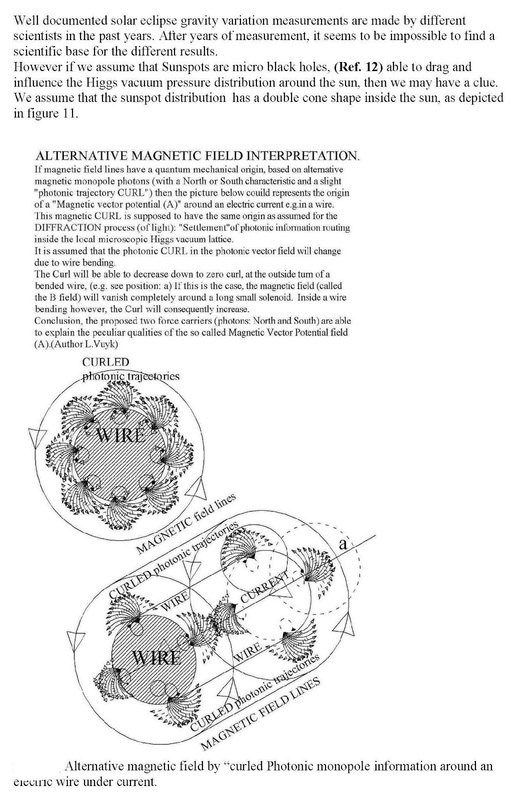 Magnetism seems to be the statistical result of opposing impulse differences of the massless magnetic North monopole array field and the opposing magnetic South monopole array field. As a consequence Not the magnetic field lines are responsible for the Lorentz force on electrons, but the influence of both monopole arrays on electrons in motion. 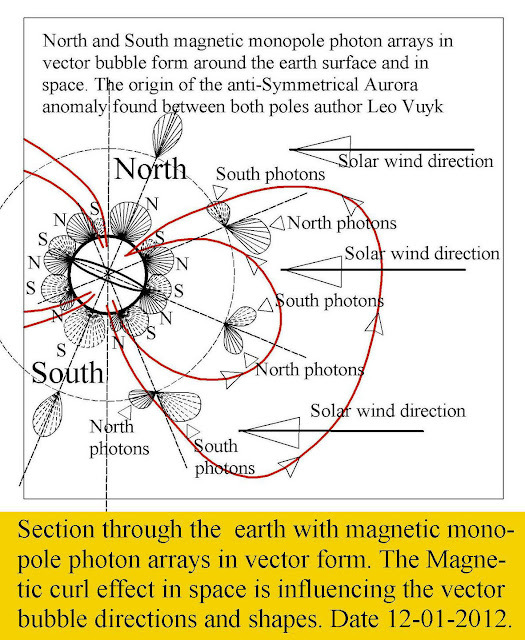 Tuhs as the earth equator is not aligned with the sun centre, the solar radiation particles "suffer" from different forces induced by these monopole radiation and will result in diffent polar aurora effects. 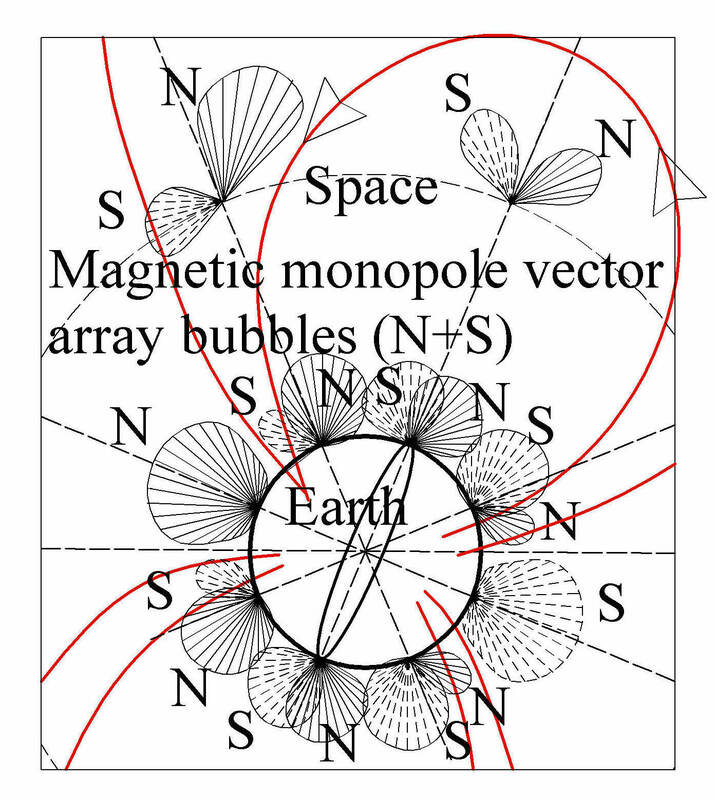 Secondly animals like pigeons and sea turtles, are perhaps also able to pick up the monopole differences for geografic orientation. 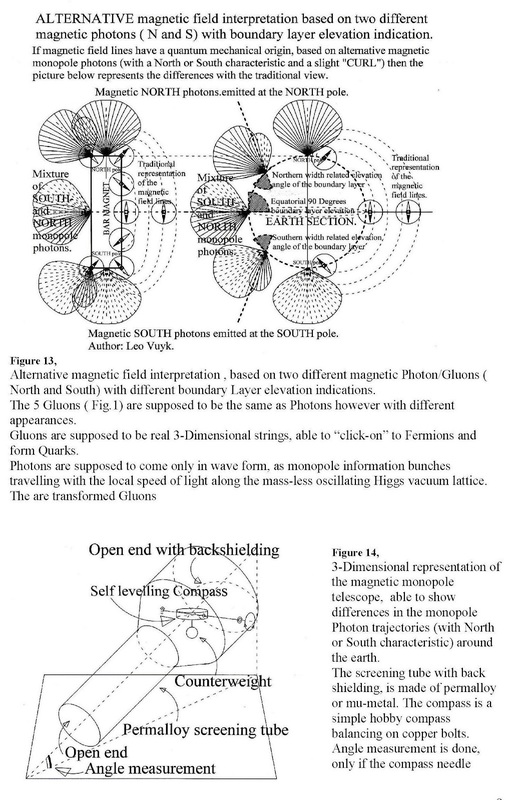 North and South monopole photon vector arrays around the earth. 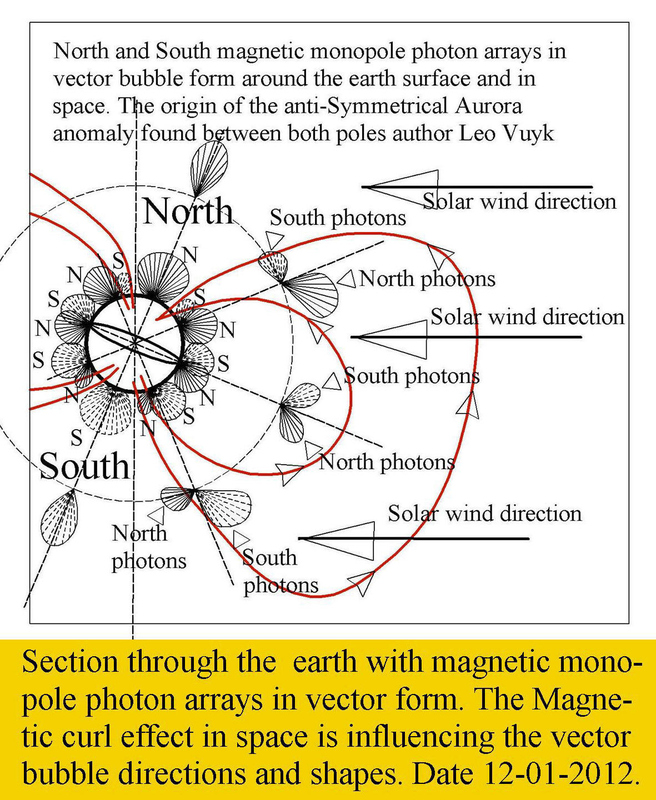 The North photon angle of attack and concentration on the Solar wind charged particles is assumed to be the origin of the recently found anti-symmetry of aurora effects in the summer. 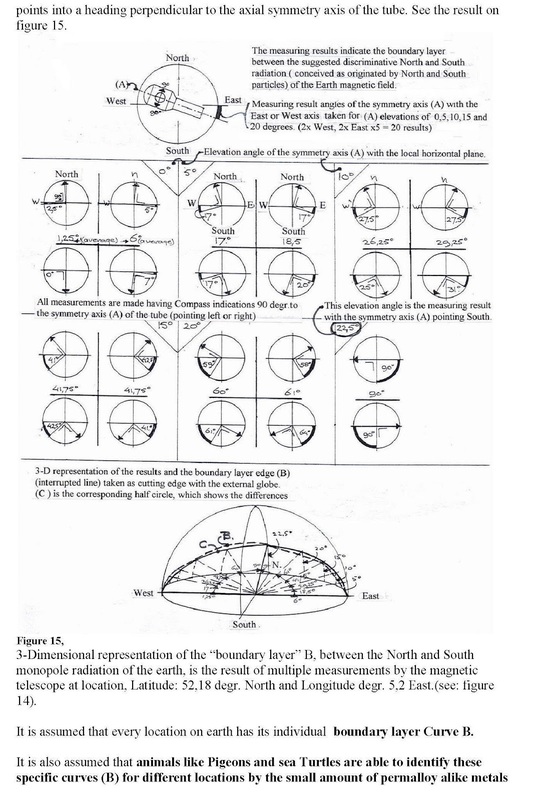 Polar Auroras do occur at the same time in northern and southern polar regions at locations connected by geomagnetic field lines, a connection that might be expected to link patterns, positions and timing of the two aurora. However this is found to be not the case!! and their proposal for a solution: here. 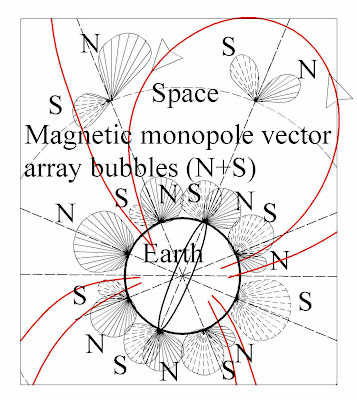 I assume that animals like Pigeons and sea Turtles are able to identify these specific differences in vector bubbles related to different locations on earth, by the small amount of permalloy alike metals already found in their bodies. 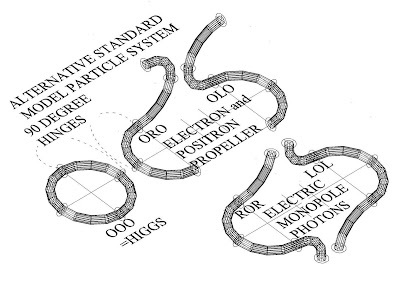 This "new physics" effect could eventualy explain the extraordinary qualities of animal orientation for these and other animals..
How some of the new elementary particles look like. 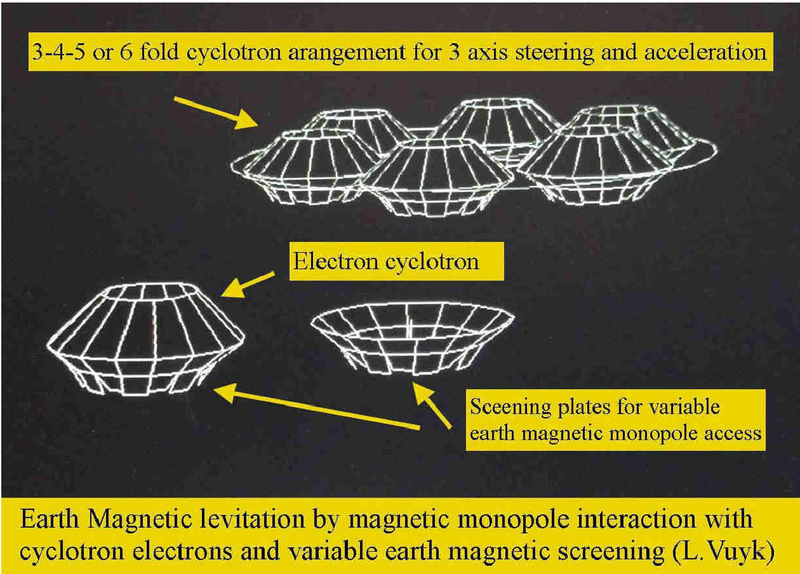 Conclusion: At least a part of all ufo sightings are NOT faked or a hoax. 12 Universes inside the raspberry shaped Multiverse? 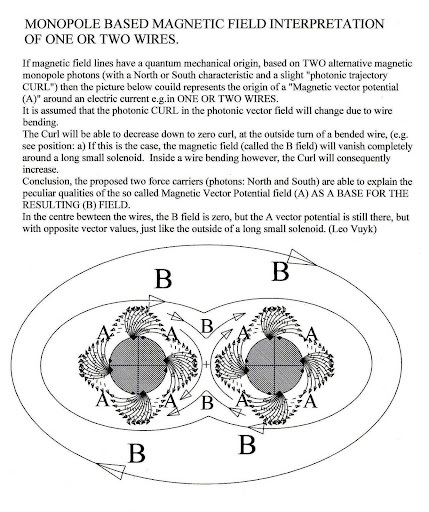 According to Quantum FFF Theory, we live in a symmetrical mutual entangled mirror multiverse, entangled down to the quantum scale. 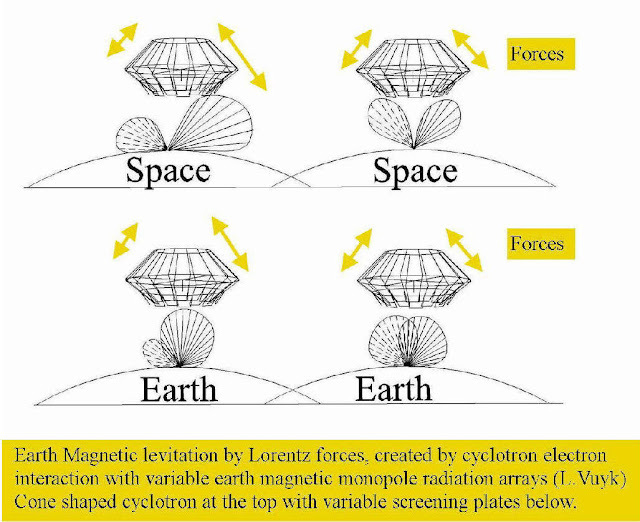 Material universal bubbles (like our universe) are supposed to be entangled with at least ONE anti-material universal bubble. 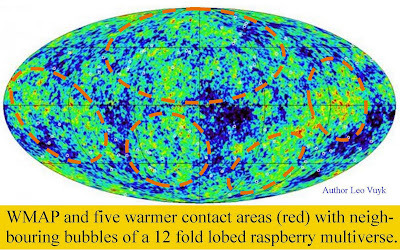 If we live in such a 12 fold multiverse, we should be able to detect 5 traces of our neighbouring universes as warmer patches inside the cosmic microwave background (CMB) radiation. 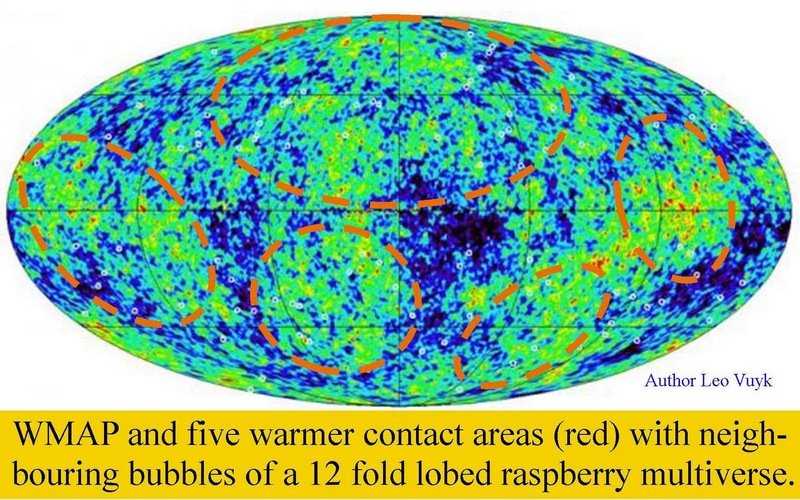 Is Our Universe Inside a Bubble? 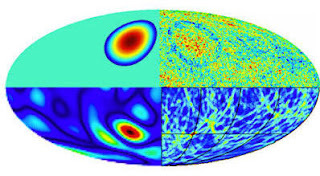 Physicists are now searching for disk-like patterns in the cosmic microwave background (CMB) radiation -- relic heat radiation left over from the Big Bang -- which could provide tell-tale evidence of collisions between other universes and our own. 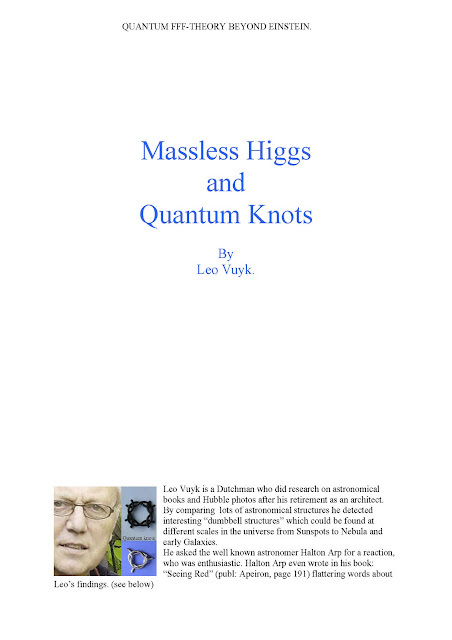 Massless Higgs and Quantum Knots. 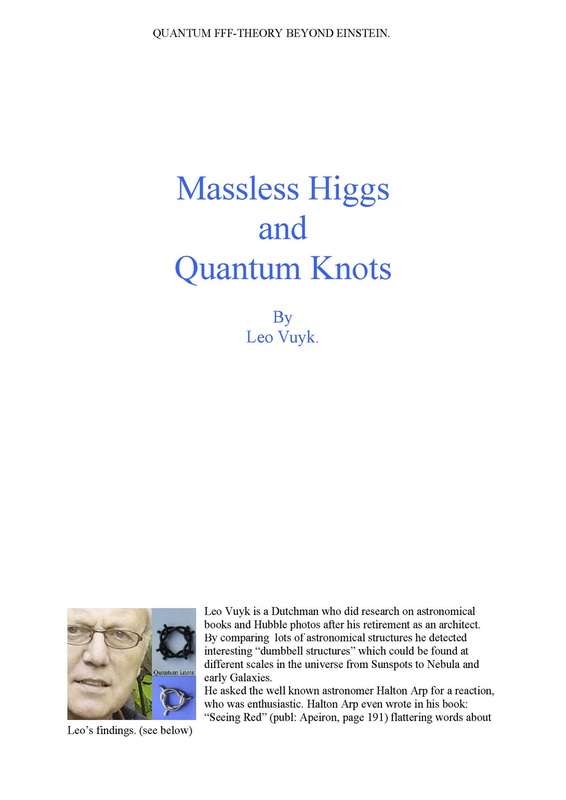 "Massless Higgs and Quantum Knots".